Robert Caplin is a dear friend who I’ve known since the early days of my career. In addition to being a kickass photographer, he runs The Photo Brigade. We sat down in Central Park recently on a chilly May afternoon and had a conversation that effortlessly leapt between topics as varied as archival storage strategies, my origin story, and self defense. Listen to it HERE! Posted on 06/17/2014 06/17/2014 by Melissa Golden. 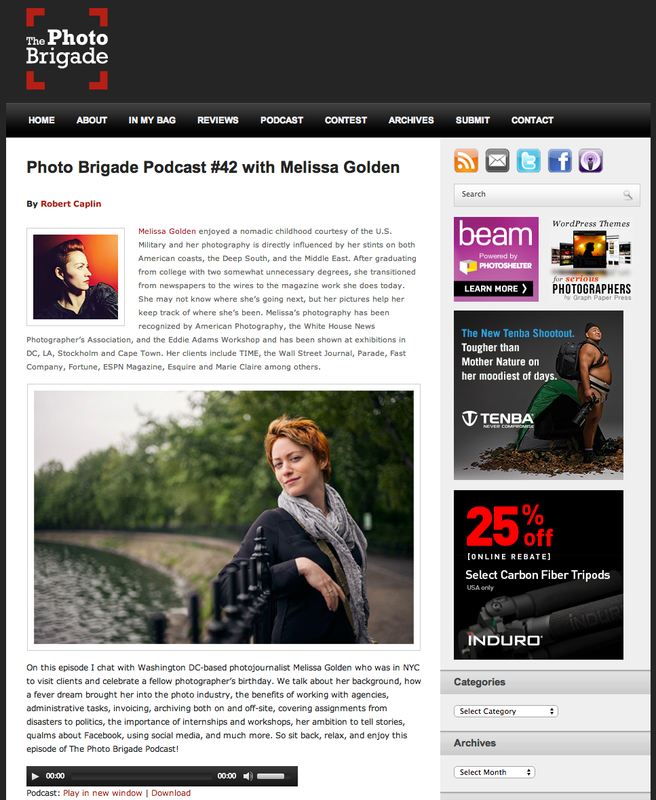 This entry was posted in Announcements and tagged announcements, interview, NYC, photo brigade, podcast, robert caplin. Bookmark the permalink.